Courtesy of seasonal viruses and allergies, many people reach for over-the-counter remedies to help treat their ailment. This year’s cold and flu season has been worse than usual, so it’s important to take the small steps to keep you healthy. Luckily one of the ways you can do this is through food, and who doesn’t relish food? Especially, who doesn’t enjoy a hearty, bone-warming soup during the winter? Enjoying a bowl of sinus-clearing soup is a great way to clear your sinuses, keep you warm, nourished, hydrated, and to fight off the cold and flu. There’s no better way to gather your strength and stay healthy. The next time you find yourself with the cold or flu and are looking for some delicious sinus relief, try any one of the healing sinus-clearing soup recipes out there. 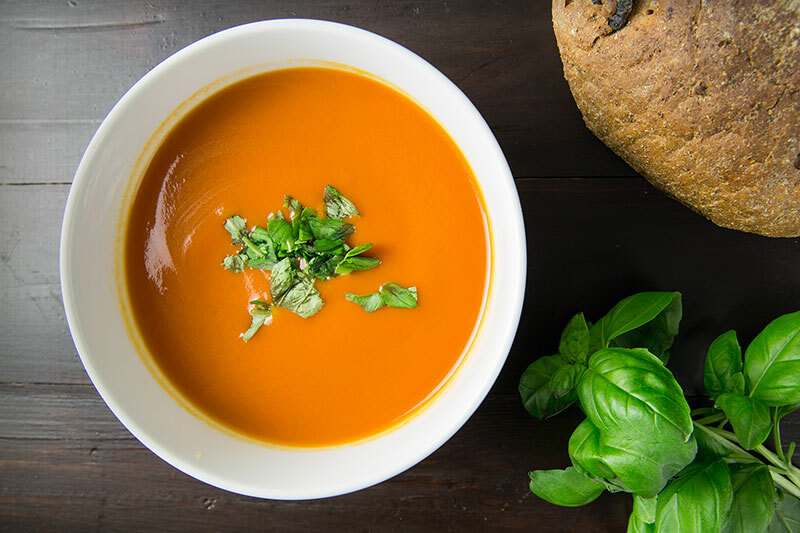 To help start you off, check out this delightful carrot turmeric soup recipe. 2. Clean, peel and chop the sweet potatoes and carrots. Place them on a baking sheet. 3. Slice onion into quarters, and place 3 or 4 pieces on the baking sheet, next to the potatoes and carrots. Dice up the remainder of the onion, and set it aside. 4. Place garlic cloves with their ‘paper’ on the baking sheet, but take them out after 10 minutes, so they do not burn. 5. Drizzle olive oil and add salt and pepper to the sweet potatoes, carrots, onion, and garlic. Place in the oven for 25 minutes, or until golden brown. 6. Heat a bit of oil over low heat in a large pot, and add the chopped onion. Add a pinch of salt and cook over low heat until it’s translucent. 7. Add the grated ginger, madras curry, cardamom, and the turmeric and heat for 30 seconds. Add the stock and water, and bring to a gentle boil. Then cover pot and reduce to a low simmer. 8. Add the roasted veggies to the pot. However, make sure to peel the paper off the roasted garlic before you add it in. Turn off the heat and leave the pot uncovered. Allow it to cool, and then puree in a high-speed blender. 9. Add a pinch of cayenne and adjust to taste. Use the apple cider vinegar to tame the soup if you accidentally add too much cayenne to the soup.